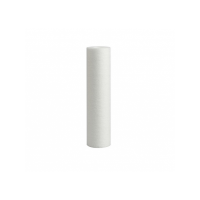 Pre-filters are typically used in complex water filter systems such as Ultra Violet treatment or Reverse Osmosis. 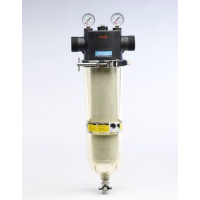 They are also known as sediment filters. 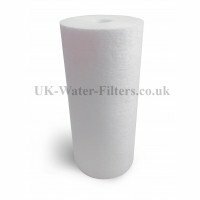 Pre filters catch larger particles in the water in stages and prevent the main filter becoming blocked and slowing the flow. For example a typical pre-filter configuration could be: first in line is a 50 micron pre filter - this catches anything larger than 50 microns. Next in line is a 20 micron filter, followed by a 5 micron filter... and so on. 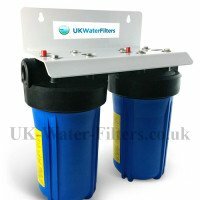 Without pre-filters, the life of the main filter would be much shorter. These look like folded paper and are more popular than string types see below. The folds give Pleated Filters a much better depth in surface area. eg they have a 2.5 bigger surface area than PP. This makes them last longer and perform well - they will typically last about 2x as long at opt performance. (Here's a picture of a pleated filter). These are made by winding string around a core. 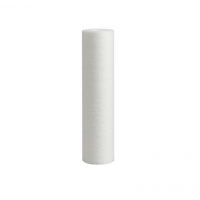 They used to be very widely used but have been replaced by PP filters see below. People who already have a string filter will naturally want to replace like for like. But cannier users also know they can wash the string. They shouldn't really do this but people like to save a few pennies here and there. Washing makes the string filter last longer. But it's not really worth the effort.